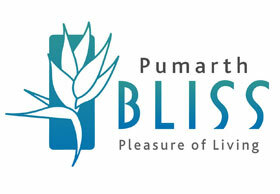 Pumarth group takes group takes pride in welcoming you to discover life’s pleasures like never before at Pumarth Bliss. A well-designed township, hosting a varied range of amenities, Bliss is placed at a great location in Indore. It has options for every homebuyer that is looking for an added layer of privacy and security. It is a township with a fully equipped clubhouse and adding to the charm are the serene gardens and waterfalls. Residents not only have access to the club house but also have easy access to the extra facilitates such as a business centre, banquet hall for personal needs, meditation gazebos, a temple, coffee shop, Wi-Fi access, etc. A home is where you make memories. Bliss has made sure to take care of everything for you, from the basic elements to the right colour and finish, so that you make wonderful memories day after day with your family! Everyone needs a bit of peace each day, away from our busy lifestyles and closer to the calm and soothing nature. Living amidst beautiful waterfalls, meditation gazebos, clean and green walkways and palm courts will melt your worries and make you feel wonderful again! You just need to step out of your house. Pumarth Bliss offers you luxury and technology along with sustainability. Our Wi-Fi enabled township allows you to access internet from your house, the home theatre is equipped with the latest technology and we also have cameras placed across the township to ensure security and safety. The constant implementation of techniques such as rain water harvesting , drip irrigation and sprinkler systems aid in water conservation. We also use energy saving LEDs and Solar powered lighting to brighten our world in the most efficient way. Life's happiness comes from intangible things, which can only be felt! You feel bliss when your child is happy running around, when you sit with your partner under a pergola, when your parents pray at the temple or when you hear the gentle sound of the flowing water. People often travel miles to find such locations with greenery and open air. At Bliss, you will never want you to leave home.